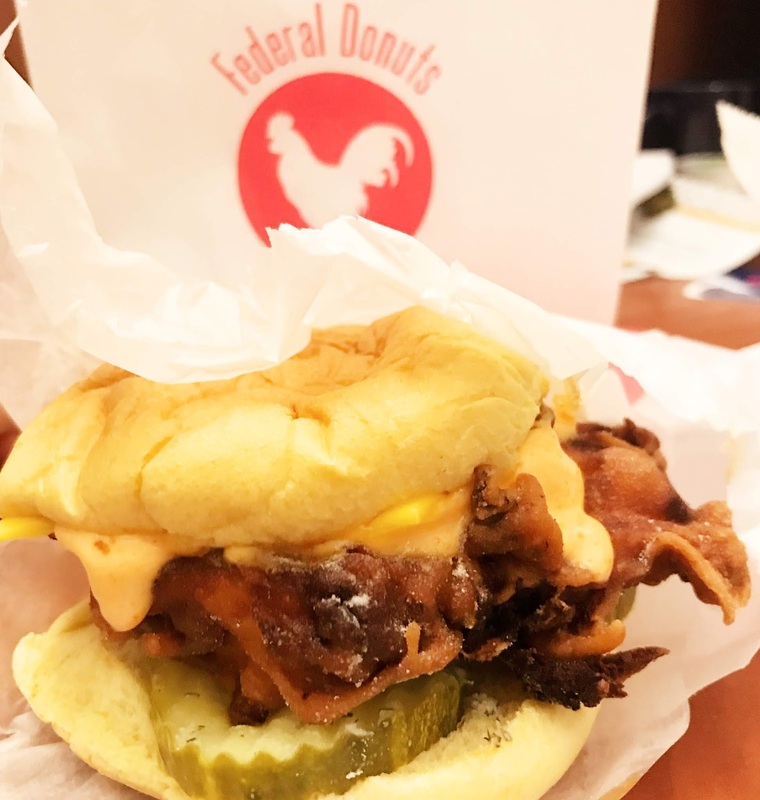 Federal Donuts is a major destination in Center City, Philadelphia. 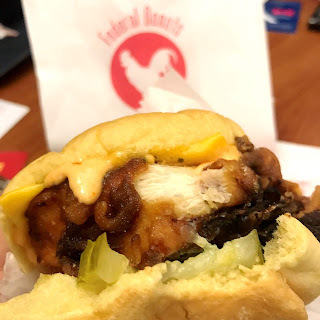 To me, though the star of the shop was actually the Fried Chicken Sandwich! 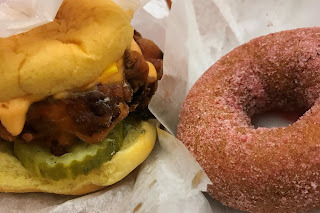 I got the Strawberry Lavender doughnut and Fried Chicken Sandwich to go and brought it back to my hotel about a block away. 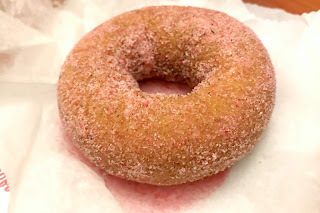 For the sake of this post, I'll start off with the Strawberry Lavender doughtnut. I really wanted the Cookie and Cream, but it was sold out. 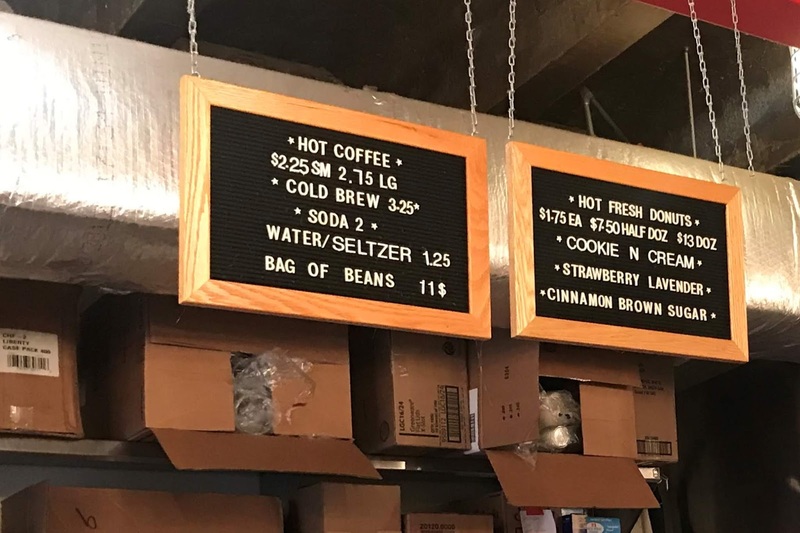 This brings me to the first point, since this place is pretty popular, the signature flavors go fast! The Strawberry Lavender doughnut was a pretty interesting flavor. 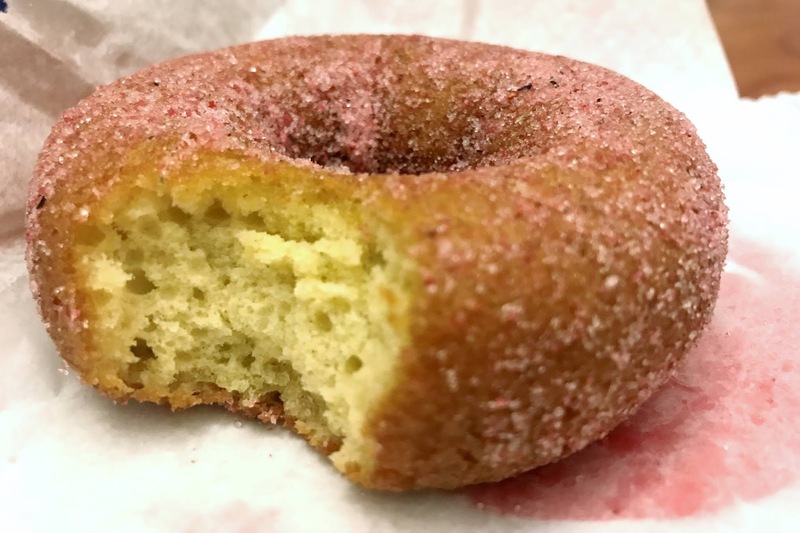 The flavor is in the form of the sugar crystals around the outside of the entire doughnut. 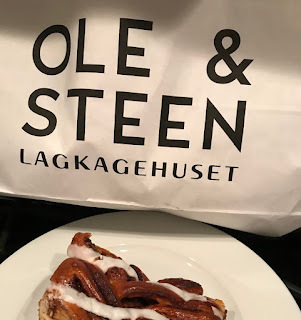 This was nice because the flavor was actually evenly distributed and in every bite. 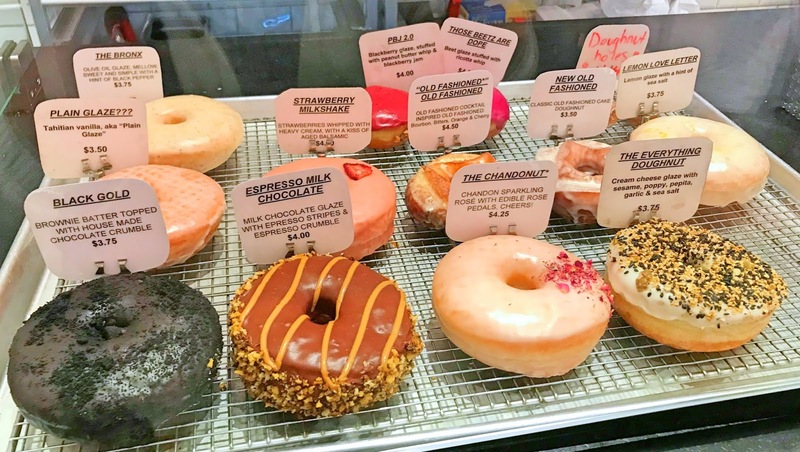 I think I have found out that I'm not a huge fan of cake doughnuts (minus the Tres Leches cake doughnut from Doughnut Plant). This one was probably really good when it was super fresh, but, by 1PM, when I visited they had been sitting out a bit. It was not too dry, but it was a little dry. 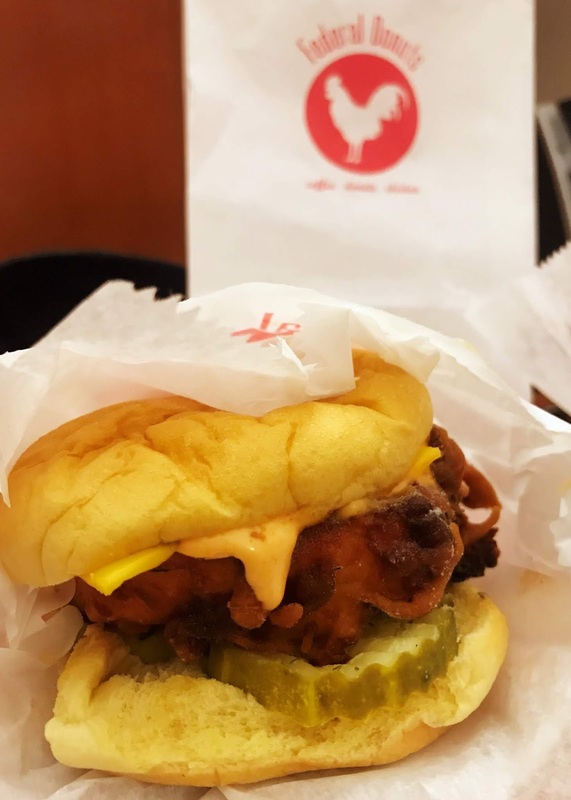 After 11AM, they start serving Fried Chicken Sandwiches, which is great and I definitely recommend. 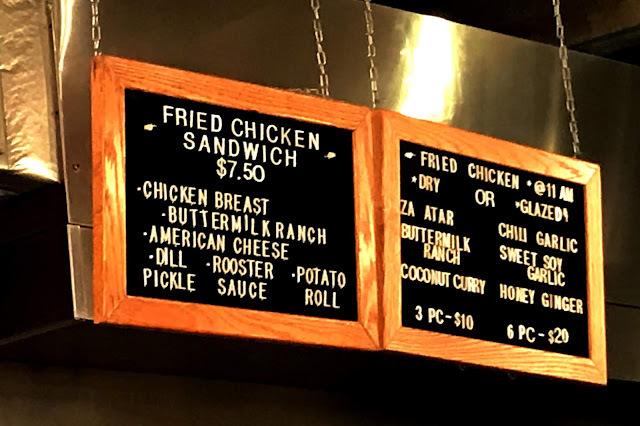 The batter on the chicken is great. It's nice and crispy, but not crunchy. The chicken on the inside is still juicy. Since the workers fry the chicken to order (in my experience), there was a little powdered sugar on their gloves, which transferred onto the fried chicken. I kind of liked that, but I could see it being a turnoff for some people. The chicken was good. 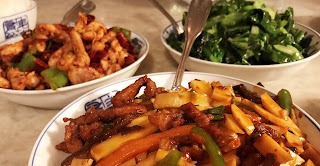 It didn't seem like there were any weird, questionable parts of the meat in there. I'm not a huge pickle fan, but it seemed like they may have been homemade pickles, so I decided to give them a try. The pickles seemed pretty fresh. The Rooster Sauce was pretty good, even thought I am pretty sure it's just a spicy mayo. The potato roll was pretty good. It was nice and fluffy, not dry.